This would be a better base kit - but would you want to cover up such lovely detail! Yeah that ones OK if your working in 1:48th scale. I was thinking of a 1:35th scale kit behind a 1:32nd scale aircraft. Say a Buffalo in 488 Sqn colours. 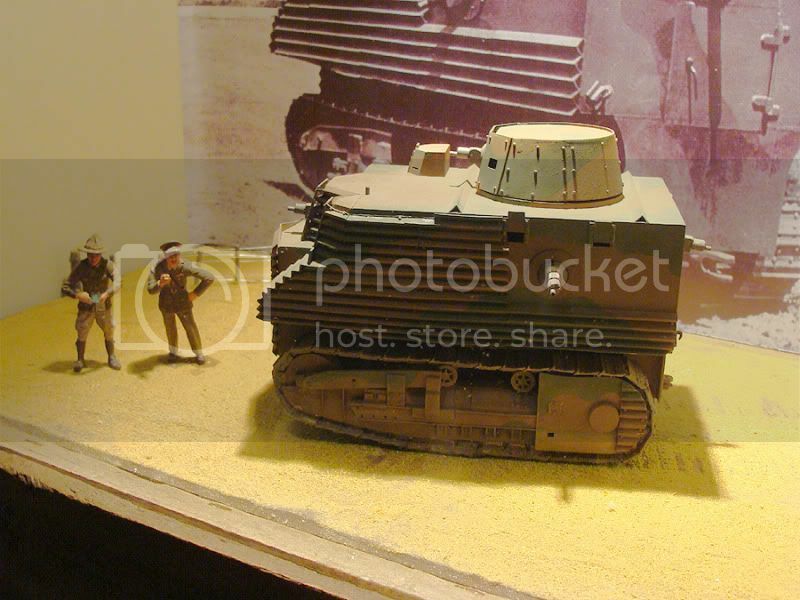 AMT makes a 1/24 Scale D8 but its a postwar version. Did the No. 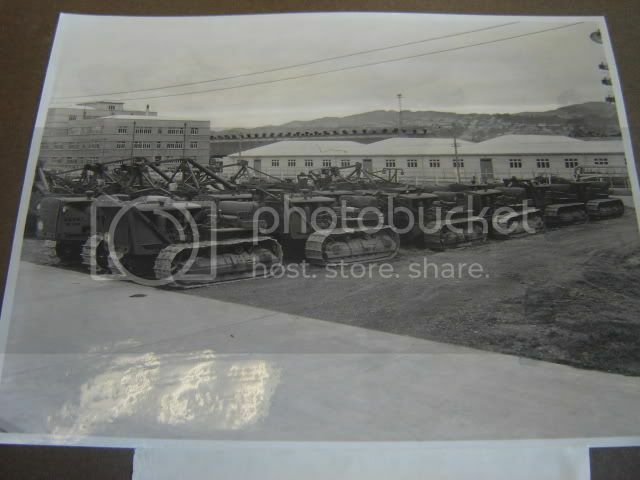 1 Aerodrome Contruction Suqdron bulldozers ever appear on the same airfield as No. 488 Squadron Buffaloes? They were in different countries, weren't they, Malaya and Singapore respectively? 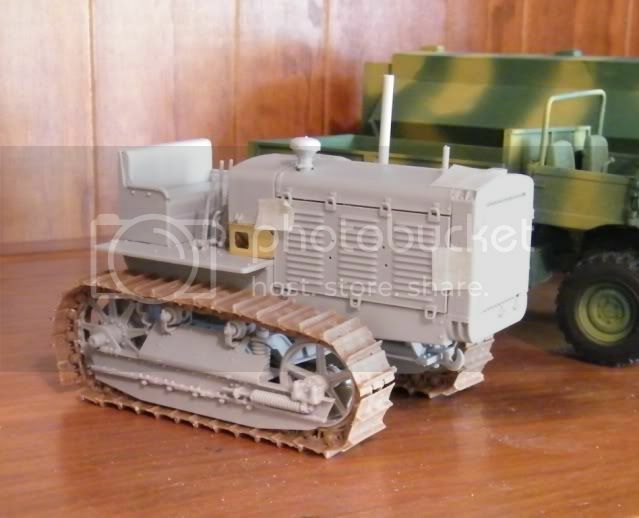 After some research I understand it does not represent a large enough tractor to make a Semple but the idea of converting it into an Aerodrome Construction Sqn bulldozer is still bubbling in my mind. 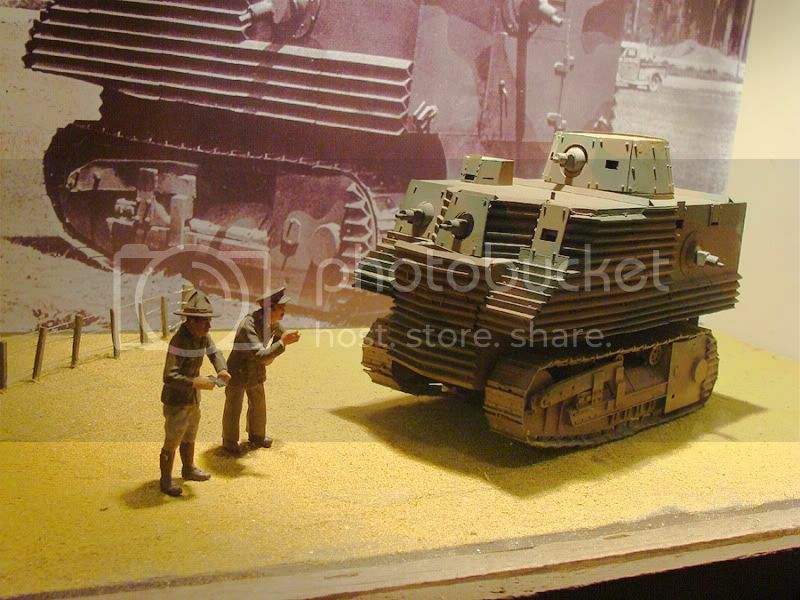 'Armoured fighting vehicles of New Zealand 1939-59' by Jeffrey Plowman and Malcolm Thomas has 1/35 scale plans and quite a few photos of the Semple tank. While the overall tractor is much smaller than a Semple, the good news is that the track and suspension components, when compared with the Plowman scale drawing, are just right. So with two kitsets you could use the suspension and track as a great basis for a Semple therefore saving a lot of scratchbuilding time. The picture shows the major components just posed together with tape. As a avid diorama maker i saw this Semple years ago, i just have 1 question... what are the officer and soldier supposed to be doing? seriously the officer is talking to somebody that is not there. 'Wow, this is really going to improve morale'. Paul, your tractor kit looks excellent. Far better than a Semple tank. It's a nice looking kit. If this is a US-built tractor I wonder if the RNZAF got any from the Americans in the Pacific? Does anyone make a Cletrac as seen in this thread? Agree, nice work and progress on this one.